I had a blast chatting with Zach Owens (@beyond_the_backcountry) about antelope hunting and his upcoming antelope tag in Idaho. Zach is an Idaho resident and gets to hunt antelope nearly every year. We talk mainly about bow hunting antelope, but a lot of the tactics we cover would work well for rifle hunters as well. Antelope hunting is a blast, and I think one of the best ways to hone your skills and your gear before bow season out west. 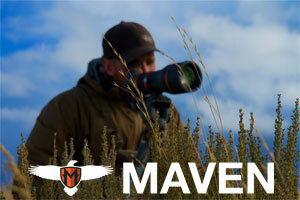 We cover quite a bit about using a blind vs spot and stalk tactics for chasing antelope. 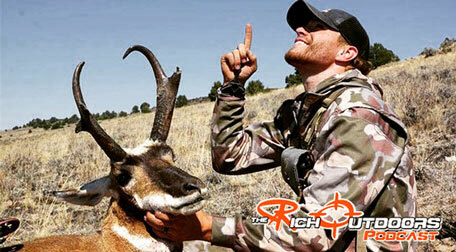 There is some great hunting stories throughout the show as well as some great tips on gear for antelope hunts. For a complete breakdown of the show be sure to check out the show notes below. So I have been getting tons of messages about people wanting shirts, hats and swag, and I wasn’t sure how I wanted to go about it. Eventually I decided that instead of doing shirts that only promote me or the podcast, why don’t we design an entire line of shirts that promote hunting as a whole, as well as the podcast, and actually give back to hunting by supporting conservation. So thats what we did, and honestly I couldn’t be more pumped with how the whole project turned out. My personal favorite is the Work Hard, Hunt Hard, Stay Humble tee, but by far the most popular so far is the Elk Punisher tee, which seems to be getting a huge response. All of the tees are available for order in both women’s and men’s styles and in multiple color variations. These are not just cotton teeshirts either, I my self am a bit of a tee shirt snob and I wanted to make sure these are something that I will wear personally. We ended up going with a high quality super comfortable blend material. As for giving back, we set the campaign up so for every shirt you order we are giving back a dollar to Backcountry Hunters and Anglers to help keep public lands public. BHA is a great organization that I believe in, and I think is doing big things. I truly think they will be even more crucial in helping the future of all of us who use public lands, especially for hunting and fishing. 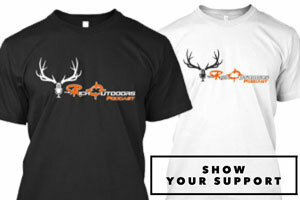 So check out my new shirt project, I really appreciate all the support form everyone, you guys are awesome and help keep the show going and spreading the message about hunting. 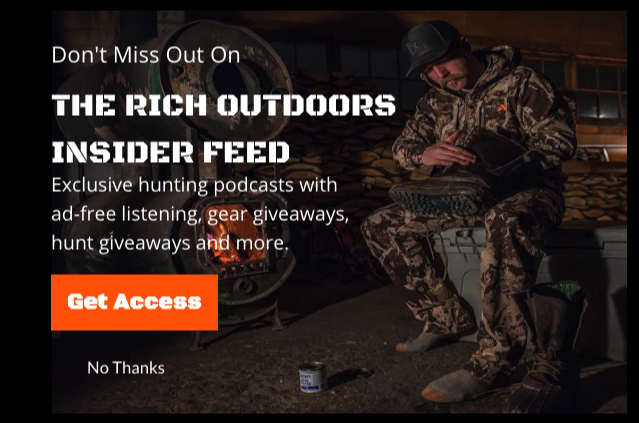 Also be sure to check out the new The Rich Outdoors app, A great way to get all of The Rich Outdoors content straight to your phone or tablet. Available for iPhone and Droid!